Enclosed is the text of Prime Minister Right Hon. 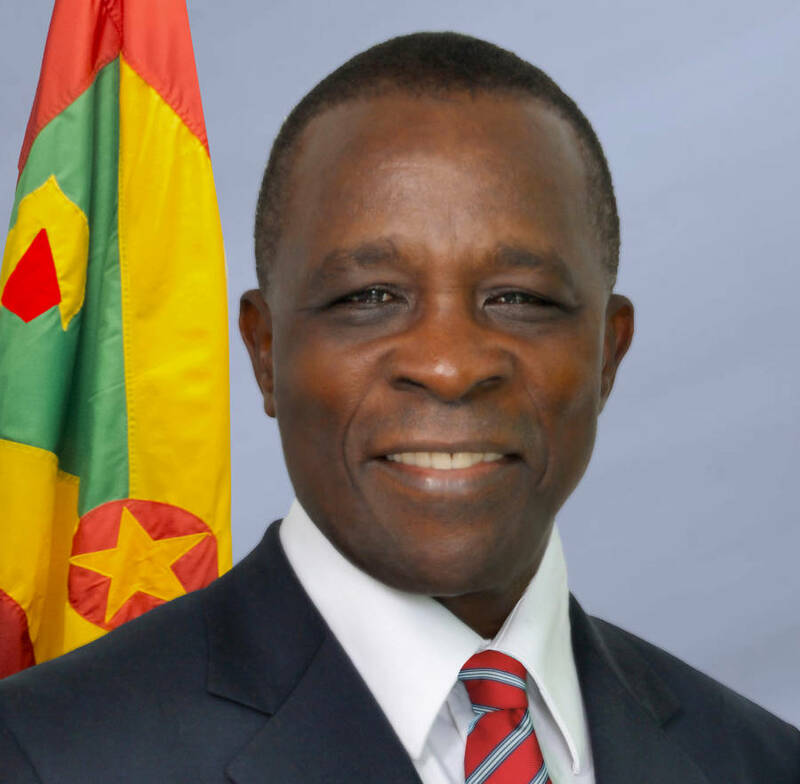 Dr. Keith Mitchell’s Address to the opening of the 34th CARICOM Summit in Trinidad on Wednesday, 3 July 2013. Madam Prime Minister, it is a joy to be back in Port of Spain again. We are grateful for the arrangements, and continued hospitality of your government and people. I will also like to thank the Secretary General and his staff at the CARICOM Secretariat for their arrangements for this meeting. I return to this Heads of Government conference after five years, with the observance that we face the same challenges as before: only now the times are more difficult, and the need for solutions and actions more urgent. In these worrisome times where our islands and territories still feel the after-effects of a staggering world recession, the march towards the Caribbean Single Market and Economy must be more certain. We must understand that the results of this meeting have to be tangible and far-reaching. One of the things that members can consider doing quickly is passing relevant legislation — in keeping with our treaty obligations — that removes alien land holding license requirements for CARICOM nationals. We believe that is a significant first step towards the free movement of capital in the region. My government has already shown its commitment in that regard, as we have, within 100 days of entering office, proposed new legislation that will remove the requirement. I have noticed — Mr Secretary General — a long agenda list that seeks to adequately discuss a number of key areas over the next few days. Permit me, if you will, to zero in on a few areas that, in the view of my delegation, should be among those being given urgent attention. I believe, and humbly so, that no issue is more urgent to address than the cause of closer integration than the issue of transportation. Indeed, the challenge remains for all of us, on how to get our people and their goods across the region in a cheaper, timely and more efficient manner. We will appreciate that without a bold solution to this continuing challenge, we will turn the dream of closer economic union that was born in the Grand Anse Declaration, into a nightmare of an unfulfilled promise. We have heard the complaints of our people — that it is easier and cheaper to get to Miami and New York, Toronto and London, than it is to get from Port of Spain to Roseau, or Castries to Kingstown. It can take three times as long and more than double the price from St George’s to Belize City, than it is from the same St George’s to Miami. The network — or lack of it — of sea services, mean that the manufactured products made here in Port of Spain cannot land in a timely manner, and still be at a competitive rate in Basseterre. Indeed there is a larger market for the farmers of Grenada and Dominica, only if we can figure out how we get our products to Nassau and to St John’s. Previous attempted debates on transportation have sometimes degenerated into name calling and blame — but as we sit here today, we will come to appreciate that this tactic has not served us well. This summit may want to consider putting in place a broader task force on transportation that will deliver results within six months. This task force should be represented at the highest level by a caucus of heads, leaders of business in the region especially the transportation sector, the airlines and shipping lines, as well as the representatives of trade unions representing workers in the transportation sector. As governments, the time has also come for us to look at our approach to taxation on travel tickets. We must appreciate that in most instances the taxes are so much more than the basic cost of the tickets, thus driving up the cost of intra-regional travel. We know and understand, that there is this eternal fear that by doing so, we will reduce the badly needed income to our cash strapped treasuries or airports authority. But I firmly believe that if we find ways to get more people travelling around the region, we will in the end, increase revenue, even with lower fees, because of the increased volume. In seeking to find solutions to the problems, we have to address not just the issue of taxation, but broader issues that also affect cost. Those include existing labour arrangements that breathe high payouts and low efficiencies in the sector; the urgent need for the efficient use of technology in management and planning that will cut operational costs; the creation of an environment that will encourage private sector investment and innovation; the issue of fuel subsidies, as well as the issue of government subventions. We have heard the complaints that our governments are eager to give subventions to international carriers, but not easily to our own. It is a fair comment that we must also address in seeking to solve this transportation problem. The other area that provides an opportunity in this new economic disposition for regional unity and economic advancement is Information Communication Technology development. There are real opportunities there that our countries must grasp. This is an urgent call for those of our members who are further advanced in this field to reach behind and help those of us who are not yet at that level. How we modernize our ICT structure within the next couple years will enhance the way we communicate and will seriously reduce wastage in our system, especially in government. We need to figure out how to leverage ICT as a platform for regional development. The key recommendation of the Regional Digital Development Strategy is that we seek to transform ourselves from 15 sovereign states to a Single ICT Space. The Single ICT space initiative will complement our flagship regional programme — the CARICOM Single Market and economy (CSME). Suggested characteristics of the Single ICT Space could include: consistent rules across the Region, a single mobile numbering plan and consequent removal of roaming charges for intra-regional calls, and CARICOM Copyrights which could foster renewed entrepreneurship and innovation. Colleagues will also recall that in 2006, we mandated that the Caribbean Knowledge and Learning Network (CKLN) be established as an intergovernmental agency of CARICOM with the mission to build a regional broadband network, connecting all CARICOM member states, and then to connect the Caribbean with the rest of the world. I am happy to report that in February of this year, CKLN launched C@ribNET, the region’s high speed research and education network for the connecting of colleges, schools, hospitals, libraries, research institutions and other knowledge centres in the region. To date we have connected thirteen countries and thirty institutions to the network, with plans to complete connection of all other countries by the end of this year. Earlier this year I wrote to colleague Heads to take the necessary treaty actions to ratify the CKLN agreement so it can have the legal status to conduct its business. Today CKLN agreement is still not in force as we have not received the necessary ratifications. This continues to be a hindrance to CKLN in the executing its work. I ask that colleague Heads support our efforts by ratifying the CKLN agreement and sign the relevant Amendment. Sisters and brothers, I want to take a moment to discuss an area that is dear to my heart: sports and our athletes. To understand the value of sports to the region, we do not have to cast our eyes too far back; for indeed the memories of the summer Olympics in London must all be fresh in our memories. Per capita and per head of population, our nations in the Caribbean were the most successful at those games. We took on the world and won; and we all beamed with collective pride with the feats of a kid from Trelawny, Jamaica named Usain Bolt… another from Gouyave, Grenada, named Kirani James… and a humble kid from Toco, Trinidad that the world now knows as Keshon Walcott. And we can go on, calling names of champions from the Bahamas and Cuba and the Dominican Republic and St Kitts and so on. My friends, what all of this says, is that the region is onto something here. It is the same world statement we made before through our cricketers. But we must accept that a lot of these world class athletes have been developed by chance; and we must also wonder about the many more talented ones that would have been left behind just because we have not had an organised system of developing and sustaining our athletes. The earnings top athletes could bring to the region, as well as the destination promotion through their feats, must make sport a worthwhile economic pursuit in which we must now consciously invest. The development of academies and centers of excellence are issues to be explored by sporting associations but with aggressive nudging and encouragement from our various ministries of sport. West Indies cricket is dear to all of our hearts — and in recent times there have been encouraging signs, one must acknowledge. The introduction of the Caribbean Premiere League this month offers an opportunity for the much needed professionalization of the sport. The fact that nearly 75 of the region’s players will now be able to survive year round, because of the CPL’s arrangement, we believe, is a development worthy of noting. But we still have ongoing concerns about the governance of the game in the region, and the need for the West Indies Cricket Board to further democratize its operations and make more transparent its dealings. Cricket, we understand, is a big business; but for us in the region it is even bigger than that. It is a genuine means of cultural expression of our people. The historic example of all of our people passionately cheering for one team is the same spirit that gave birth to CARICOM, through the Treaty of Chaguaramas, 40 years ago this year. And we would have failed the next generation, if we, as this current crop of leaders, fail to build on the innings. I want to thank my fellow Heads and the members of the CARICOM staff who have made me feel so welcomed on my return back to this forum. I am back, more reinvigorated, and more committed to the cause of integration. The historic mandate given to me by the people of Grenada in the last elections, has humbled me more than ever, and has reminded me of the enormous responsibility that we as leaders have. This therefore, gives us the freedom to be bold, assured as we are, that we carry the dreams of an entire region on our backs. We have responsibility to ensure that we do not disappoint our constituents; especially our young people. Mr Secretary General, fellow Heads — I thank you very much.